I find this overlooked regularly. Each link has an Instance AND Type parameter called Workset. 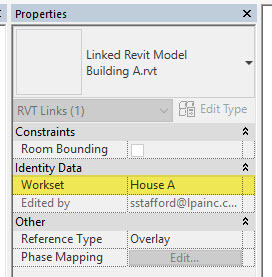 If we select a link (RVT) in the Project Browser we can see the Type parameter for workset, even if the link isn't loaded. If we right-click and choose Select All Instances > In Entire Project we can see the Instance parameter value, unless there is more than one instance (copies of the link). The best way to ensure that both parameter values are assigned to the same workset is to make sure the Active Workset is set correctly first, before we link the file. If not then we have to check both values. Why are there two parameters? The Type parameter governs the existence of the link in the database while the Instance parameter governs the actual instance you can see in the model views. The linked file can be copied, for example House Design A can be copied so we can show that it will be located on several lots within a development, each likely oriented differently. The instance parameter allows us to assign each copy to a unique workset while the Type parameter affects all of the copies. That means closing the workset assigned to the Type parameter will close all of the copies of the link, none of them will be visible. If we close the workset assigned to just one copy then only that linked file won't be visible. If we experience erratic issues with linked file visibility it is the first thing I check. I'm also in the habit of looking at all the linked files every time I get introduced to project. 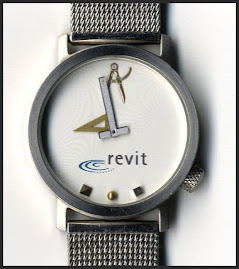 This also applies to other linked files (CAD,Point Cloud). Once again I am never surprised at what I can learn from you Steve! I have noticed the two values but never gave it any thought on why there's two but knowing that I probably should at least make them match. I also remember the first time I noticed the two locations and telling myself..."Well that's just dumb". Now thanks to you, I learned something today and it makes sense.